Wendi C. Thomas – Page 2 – Journalist. Dreamer. Disrupter. The day after a grand jury failed to indict the white officer who choked an unarmed black man to death for selling loose cigarettes, more than 45 people laid down at the site of the Lorraine Motel in Memphis (now the National Civil Rights Museum), where Dr. Martin Luther King Jr. was slain in 1968. Motionless, they chanted. Black lives matter. I can’t breathe. We can’t breathe. I heard one woman, her voice cracking, asking again and again if her sons would live to be 18. My eyes settled on Liz Phillips and her six-year-old son, Solly. Short for Solomon. 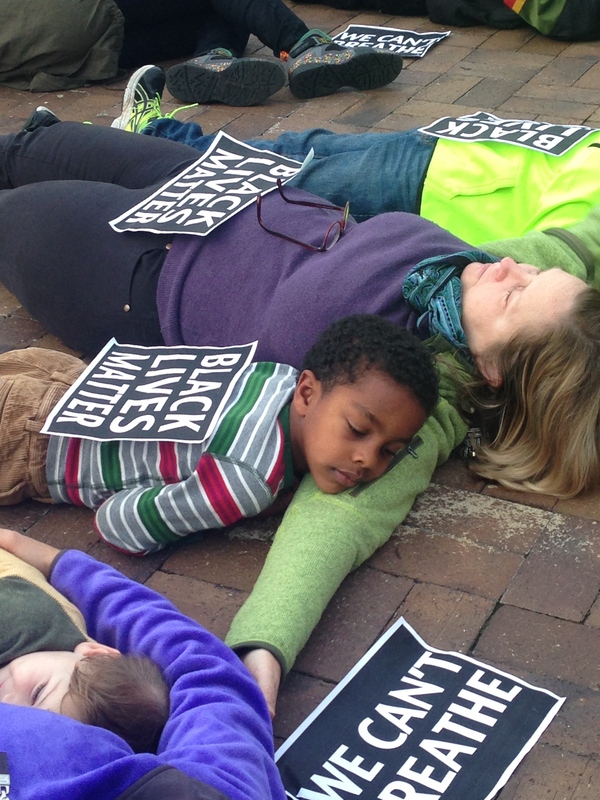 After the die-in, I asked Phillips why she came, as Solly and her other son, Gus, 11, stood by in the cold. Phillips’ eyes watered. She didn’t tell Solly exactly why they were there. She’s not ready for him to know what it means to be a black male in America. I’m not either. Phillips felt it was important to show up, to stand up, important for both Solly and Gus (who is white – in the photo, he’s on the ground to his mother’s right) to know that this is what their family does. Posted 4 years ago by Wendi C. Thomas. If you support racist systems, guess what? You’re kinda racist. Posted 5 years ago by Wendi C. Thomas.